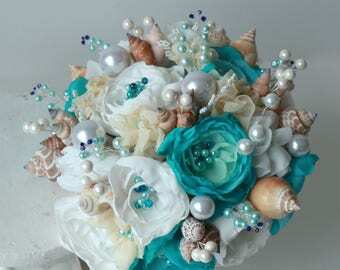 This sophisticated seashell wedding bouquet is a creative alternative to a flower wedding bouquet. Such bouquet will never wither. 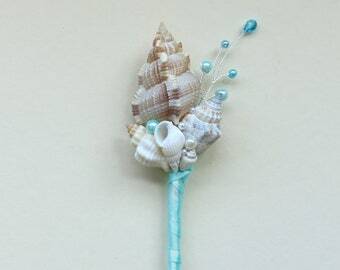 This is ideal accessory for your beach or destination wedding. 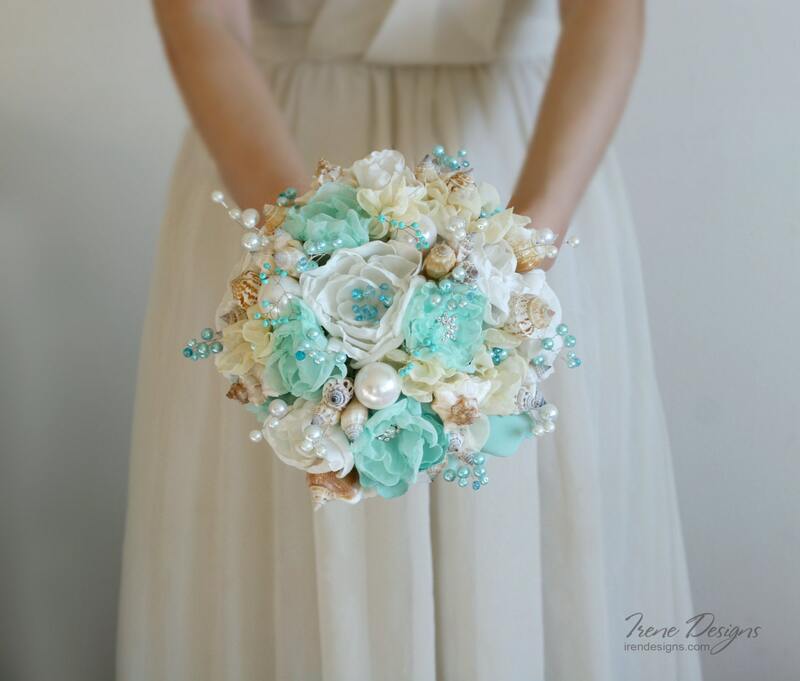 The bouquet has turquoise, ivory and white shades. It will be perfect for the same wedding colors. 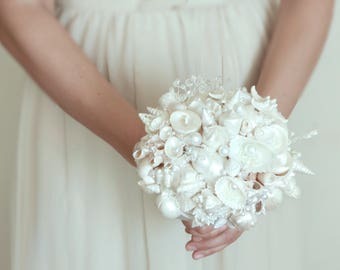 Weight of bouquet is the same as fresh flowers bouquet. Perfect look and size for my maid of honor! Colors are gorgeous.